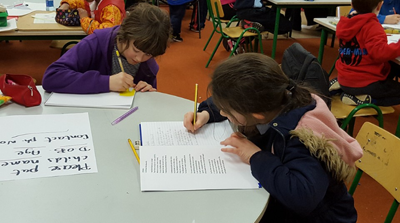 2018 was a very busy and successful year for Islandeady Community Games with an increase in the number of our young people from the area participating in a wide variety of events. 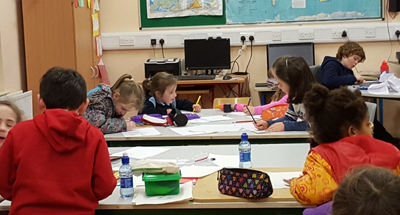 Art, Model Making & Handwriting The local competition was once again held in Cloggernagh National School where over 30 children took part. 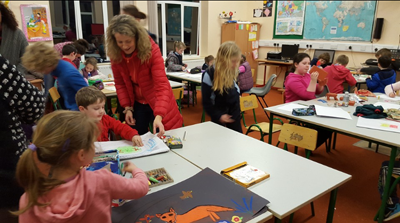 The participants produced some fantastic pieces of work and 11 children went on to represent Islandeady at the County finals, held in Breaffy N.S. in March. 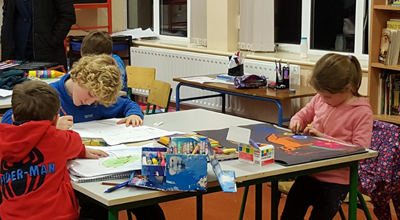 Tadhg Hayes won bronze in the U14 art section at Mayo finals while Moya Shaughnessy won gold U10 in model making and went on to represent Mayo in the National finals held in University of Limerick in May. 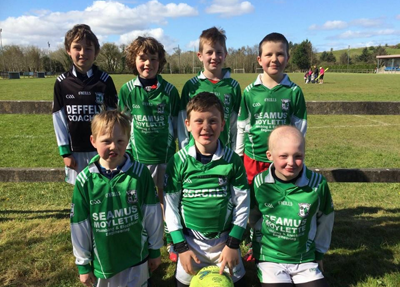 Islandeady Community Games hosted Mayo Finals in draughts in the community centre on April 8 th 2018 Islandeady U10 & U12 teams both won silver on the day. Overall the day was a great success which brought teams from all over the county. 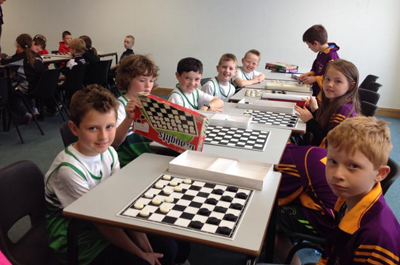 Islandeady put forward two chess teams U13 and U16. 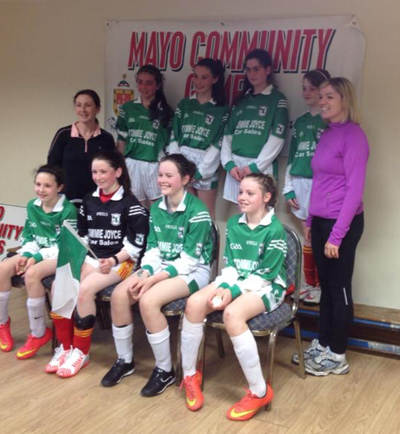 The U13 team were narrowly defeated in the Mayo final while the Under 16s went on to represent Mayo in the Connaught final in Leitrim. Our annual Sports Day was a huge success with over 100 children participating in what was a very enjoyable day. 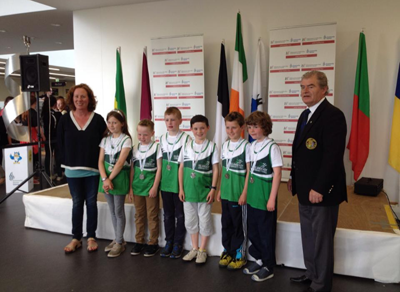 Following on from this 11 children went on to represent our area at the Athletics County Finals in Claremorris in June. Ryan Kerr won silver in U14 100m and Sean Graven won Gold in U8 80m and went to represent Mayo in the National finals in the University of Limerick, in August, where he had success in heats and semi-final, and narrowly missed out in the Final. 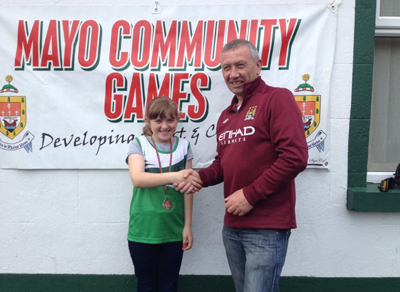 Roisin O'Brien represented Mayo in the marathon (7kms) in the May National Finals where she won an Individual Bronze medal and a team Gold medal. 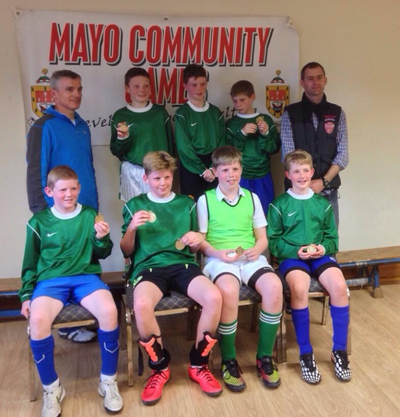 U13 Boys won Gold at the Mayo Final in Barnacarroll. Sincere Thanks to all those who managed teams and co-ordinated events in the past year on behalf of Islandeady Community Games. Also thanks to our hard working committee. Congratulations to all the participants and winners and a big thank you to the Community Council, GAA, Foroige, schools and to everyone who helps to make our Community Games in Islandeady such a success.